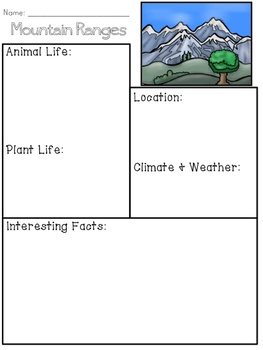 Mountain Habitat Organizer: This graphic organizer is a no-prep way for students to record and organize their research on mountains and mountain ranges. Lined and unlined versions are included. Mountain Habitat Packet that includes this organizer!